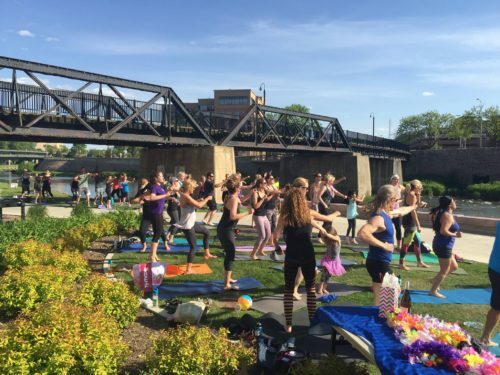 Form Fitness and the Hilton Garden Inn-Downtown Sioux Falls are coming together for a summer Sioux Falls yoga series to raise money for a good cause. Every Wednesday at 5:30 p.m. through the end of August, the hour-long yoga class will be held outside the Hilton Garden Inn in downtown Sioux Falls. There’s a $5 suggested donation, with all proceeds going to Children’s Miracle Network. The two companies have hosted the outdoor yoga series for three years and pick a different non-profit organization to help each year.